A parody account cited by the California congressman has seen a spike in followers following his lawsuit, so Colbert went a step further. A lawsuit by Republican Rep. Devin Nunes, aimed at Twitter and some of its users for alleged defamation and negligence, has led to a huge spike in followers for one of the parody accounts he targeted. Now, late night host Stephen Colbert has taken it a step further by creating another parody account aimed at the Republican California congressman. The $250 million lawsuit mentions two anonymous parody accounts, "Devin Nunes' Mom" and "Devin Nunes' Cow." After the announcement, the Devin Nunes' Cow account went from 1,200 followers on Monday, according to Newsmax, to 278,000 as of late Tuesday night. Colbert jumped on board Tuesday night and said he had created a new parody account called "Devin Nunes' Skin." "There’s nothing in Twitter’s terms of service that says you can’t have a parody account. That’s why it is totally legal for us to make @devinnunesskin. This is a real account, an actual account where you can find such announcements as ‘still thin,'" Colbert said. The account had over 8,700 followers and climbing Tuesday night. Colbert doubled down, saying, "Devin, we look forward to your lawsuit." The Devin Nunes' Mom account was suspended by Twitter. 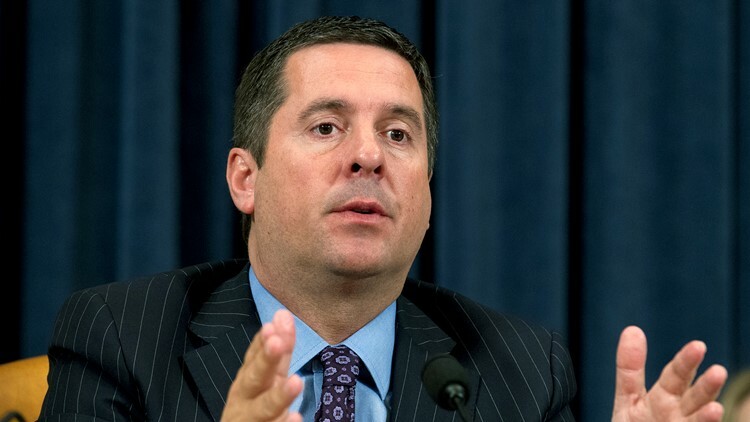 Nunes was the chair of the House Intelligence Committee before Democrats won control last November. As chair, he led the House investigation into Russian interference in the 2016 election, but faced criticism for his apparent deference to Trump.